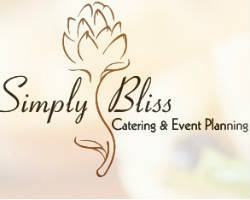 Simply Bliss Catering & Events is all about providing the very best food for their clients. Whether that is a New Orleans-inspired crawfish bake or traditional Mexican food, this caterer works to make the vision of clients come to life. The presentation of every dish is always immaculate as is the flavor. The chef uses years of experience and culinary innovation to provide clients with a menu that is personalized, and specific to their event and personal tastes as well. 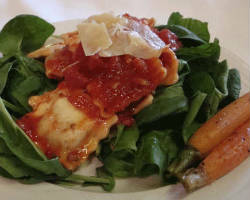 Forget the traditional Italian catering and opt for something that will truly excite your taste buds. 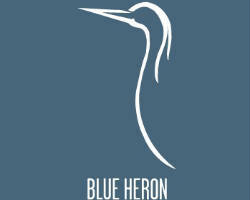 Blue Heron Catering offers unique and creative dishes that will bring your event to the next level. Their wedding menus feature dishes that have been successful at recent weddings, but they are also capable of creating a completely new and customized menu for your event. Whatever you choose, you can be sure that you are getting top quality service as well. This local caterer will serve an affordable and innovative menu at your wedding. 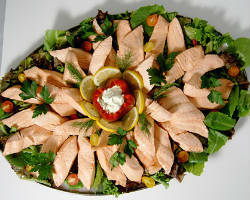 Choosing the right catering in Oakland, CA can make or break your event. 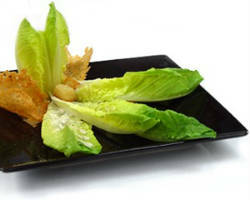 You need to choose a company whose serving style and menu suit your event. 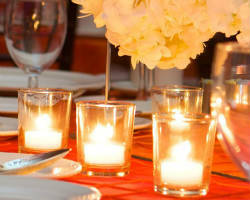 If you are having a more formal affair, then Grace Street Catering is the most sophisticated option. Their service is nothing less than the very best. They make personal customer care their second priority and serving restaurant quality dishes their main focus. Choose a caterer that fits with your event and wants to make your special wedding vision come to life. 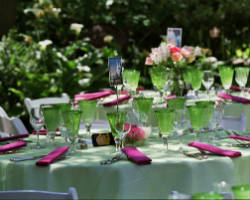 The venue and the catering are some of the most important aspects of having a successful wedding reception. Choosing the right wedding catering company in Oakland can be the difference between your guests feeling satisfied and ready to celebrate and them being left disappointed. Market Hall Caterers can provide any kind of food and style of service you would like for your event. This company puts its customers in the driver’s seat so the event will happen exactly as they’ve always envisioned. Chef Moe’s Bon Appetit Catering has become so successful in the Oakland area by providing relatively cheap menus that are full of flavor. You don’t want to spend your entire wedding budget on the catering, but you also do not want to sacrifice service, which is why this company has become the top choice of many couples. They have menu options that will suit the style of your event like the buffet style service with BBQ carving stations or a seated and served meal. Catering and event planning often go hand in hand. Rather than having a caterer who simply serves tasty dishes at your event, choosing Barbara Llewellyn Catering & Event Planning in California means choosing a company that will create an entire dining experience. The tables will be decorated and the food will be served according to the style of your entire party or event. This company has unmatched creativity in and out of the kitchen meaning your event will be completely unique and one-of-a-kind.